Barring something unforeseen, my husband will retire from over 30 years of military service next year. There’s a lot to do between now and then, tons of information to process, and it seems that everyone’s got an opinion about what’s most important to accomplish between now and military retirement. At times, the advice can seem a bit contradictory. …or purchase a home with enough space for upcoming grandchildren? Buy a permanent home after all the PCS'ing and living in military housing? …or take some time to figure out where we want our “forever home” to be before making a commitment? And what about after retirement life? Aside from being the couple that blocks the commissary aisle while we rifle through our coupons (we look forward to being those people), what will that look like? A new career, starting a business, or simply taking some time to rest and regroup after years and years of TDYs and deployments? Something I’ve discovered through research and the shared experiences of others is the obvious reality that every situation is different, so there will be no one right answer to any of the above questions (well, other than the coupons!). 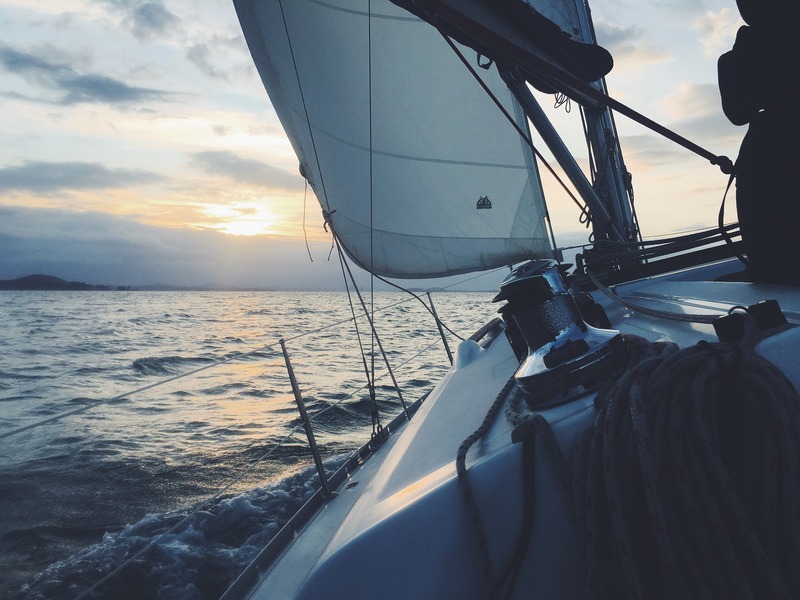 Still, I’ll share the resources and advice that have been offered to me in hopes that some of it may help you if you're facing your own retirement. And while it’s impossible to distill such a big transition into one post, here are a few things to consider as you take the next steps. First Things First: Where Will You Live? After all the years of nomadic living and dreaming of settling in one location, the answer to this may not be as simple as you think. Weigh the options of living close (or perhaps, not too close, depending on your preferences!) to extended family and the availability of new job opportunities, if you're looking for a second career. Personally, we are debating the pros and cons of finding a home and settling into an area right away vs. touring the U.S. in an RV for a time! What is the "walkability" level? How far is it to walk to shops, coffee houses, and cafes? Are local parks and trails within walking distance? Does the town have a church of your faith, a library, or a Senior Citizen center? Could you find employment or a volunteer opportunity in the area? If you’ll be tending to repairs or taking up a woodworking hobby, are there home improvement/hardware stores nearby? If you plan to spend time on the fairways, what are the local greens fees? If you heed the call of the water, what are the local slip fees? You Must Downsize! Or...Maybe Not! The jury is out on this one. While the conventional wisdom is to get rid of any excess belongings so you have the freedom to travel or move into into a smaller space, you may find you need extra space for your extended family and guests. You also could be caring for aging parents or have young adult children living with you. Or perhaps you simply want room for those visiting grandkids! And what about new work or hobbies? Will you need a craft room, an office space, or a large garage or area to store grown-up toys like motorcycles or boats? If so, downsizing may not be for you. Many veterans count on using their VA Home Loan benefit, the government backed home loan with competitive interest rates which requires no money down or private mortgage insurance. But it's important to have a firm grasp of your benefits before you start house hunting! Even if you’re positive you meet the VA loan eligibility requirements, there’s only one way to be certain you have access to VA home loan benefits: Obtain your Certificate of Eligibility.. If you'd like to get an early start, VA Loan applicants can fill out a Certificate of Eligibility (VA Form 26-1880). The form can be downloaded through the Veterans Administration Web site and mailed directly to the VA. More information about Certificates of Eligibility can be found at the VA website. For more detailed information about using your VA Home Loan, see Chris Birk’s excellent article, Getting Your Certificate of Eligibility: Let a Lender Do the Heavy Lifting. As retirement looms ever closer, the service member will be hammered with checklists and appointments. The folks at MilitaryOneSource, an official DoD website, have a great checklist with information regarding military retirement benefits, reminders to attend pre-separation counseling and the TAP employment workshop, as well as reminding you to schedule medical and dental checks and other important appointments before retiring. As well, if you have medical conditions or injuries incurred on active duty that would affect your VA disability compensation, it’s important to get those documented before retirement. “We chose to stay Tricare Prime for the first year to see if we need that....in a year we will reevaluate to see if Standard will be better. For the most accurate information on VA disability compensation, visit the VA disability compensation page. For many military retirees, life after retirement is a brand new "second act," full of possibilities. Also, well before the retirement date is set, you'll want to consider your finances. Perhaps you'll need or want to start a completely different second career or your own business. You can use the online military retirement pay calculator to estimate what your retirement income will be. Again, Veterans United provides some tips toward investing and planning for your retirement financial future with Are You Ready for Retirement? Find Out with These 4 Tips. For many of us, the greater military family has been such an integral part of our world that we can’t imagine life beyond it. This may the aspect I’m dreading the most! 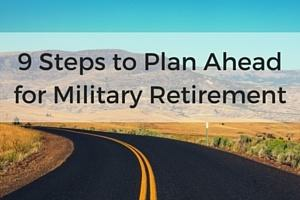 Ready or not, military retirement is coming. How are YOU preparing?